Growing a social media following is not a simple task. It's not enough to post great content, it's not enough to follow people, it's not even enough to pay for Facebook Ads (despite what they are telling you). There is simply no quick fix - growing a social media following requires a long-term, consistent, dedicated approach, and many marketers struggle to get the result they want. If you're one of these marketers, this post is for you. So let's first have a look at what you might be doing wrong. 1. You're hanging out on the wrong social media platforms. Naturally, you should know everything about your target audience. By everything, I mean demographics and psychographics related to your product. These might include age, gender, income, education, relationship status, interests, goals, concerns, values. Your target social media platform should be based on this information. To find out how demographics and psychographics correlate with each platform, read the blog post on different social media platforms. 2. You are not using the basic options your platform offers. There are too many social media platforms (even the major ones), and it's quite easy to miss out on the simple ways to get followers. Check if you've made the first steps before moving on to the sophisticated methods that require additional tools. Follow people that are interested in your product niche. Twitter is an active platform: often if you follow someone, they'll follow you back, if they can see in your bio that you provide valuable information on whatever they are interested in. For example, follow artists if you sell art supplies. 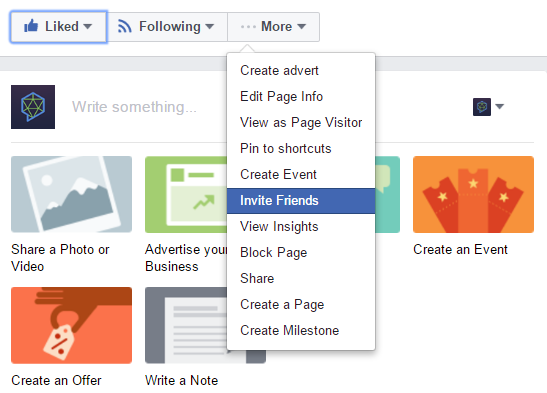 Go to your Facebook brand page and select the option "invite your friends". This will at least get you some initial numbers. Facebook also allows you to search email contacts, so you can first add all your email contacts as friends on Facebook, and then invite them to like your page. Share a lot and pin a lot. When you share, people see your pins, and those pins lead back to your page by displaying your details below the pin. When you pin, Pinterest suggests boards where people have pinned the same image to help you easily find people to follow. These people might happily follow you back. A bit like Twitter, just far less active. But do follow people and businesses you are interested in, and many will follow you back. Also, join or create communities that are relevant to your niche. 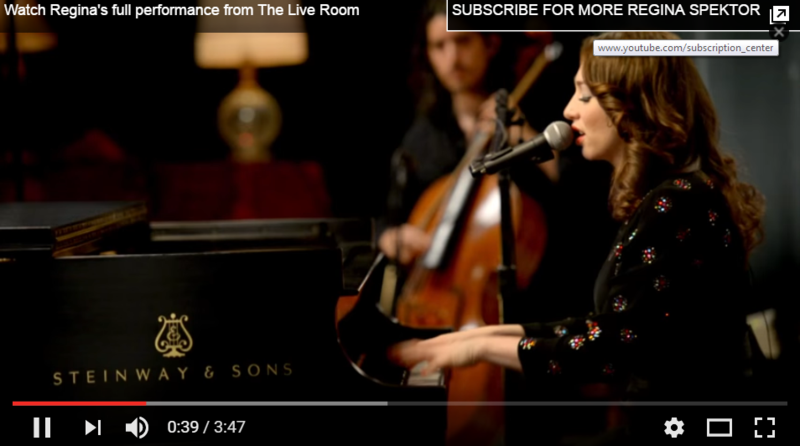 Use annotations - the little notes that appear on the videos and ask you to subscribe. 3. You're not posting consistently. No one is going to follow your brand if you're posting rarely and at random periods of time. Make an editorial calendar, and follow it religiously. Post at least once a day on your main social channels. Schedule your posts with Buffer or a similar tool. It goes without saying that everything you post should be of high quality. Otherwise, no method will save you. 4. You're not adding social links everywhere. Make sure it's easy for people to follow you on social media - add social links to your website, blog, online ads - anything you're doing, basically. Now that you've fixed everything you were doing wrong, let's look at what you can add to your social media strategy to finally grow your following. Use a social media monitoring tool, such as Awario, to find influencers in your niche. To do that, create an alert using keywords of your niche, and click on the Influencers option once your mentions are gathered. Your results will show your influencers listed hierarchically by the number of their followers, like here: You can also sort your influencers by the number of times they've mentioned your keywords. There are two ways you can use them for your social following. The first one is to look at their followers, and follow them. Chances are, if these people follow news about your niche, they will be interested to know about your product and your news as well. 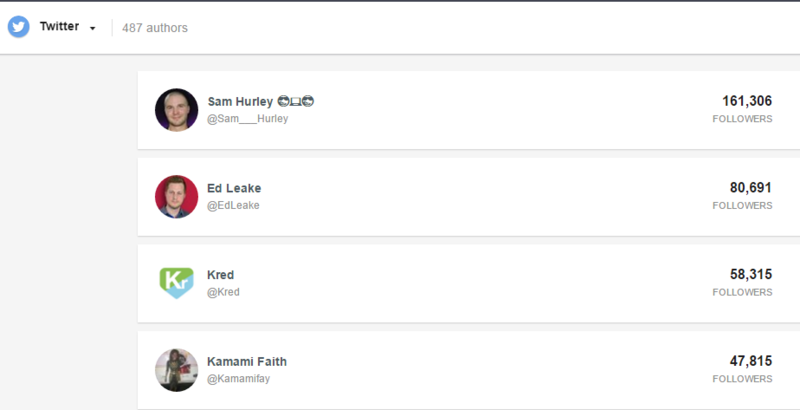 You can use a tool such as Crowdfire to simplify the process and see straight away who has followed you back. The second way is more time-consuming, and more complicated: it requires building a long-lasting relationship with your influencers so that finally they mention your product, and their followers come to you to find out more. A guide for this can be found in the blog post on how to market through influencers. 2. React to mentions of your competitors. Let's say you're a small business, while your competitors are huge and popular - that is often the case. How can you benefit from the fact that your competitors produce an effortless buzz on social media? You can react to it first! Use Awario to find mentions of your competitors on social media. Then look through these mentions and react accordingly. If someone has complained about your competitor, offer to try out your product. If someone has asked a question, reply to it first. Follow authors of the mention, and ask for a follow from them as well. Don't be shy - these people are obviously interested in these products, so they are very likely to be interested in your updates. And a simple call-to-action is all they need! 3. Keep an eye on what's trending. 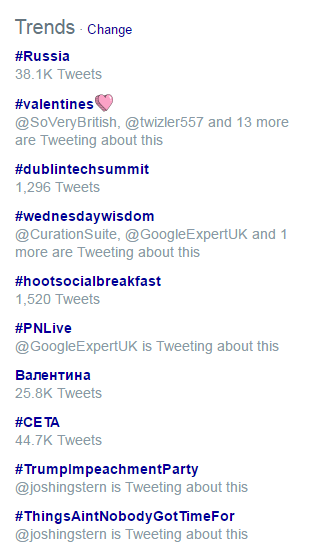 You don't need an additional tool for that, just whenever you go on Twitter have a look at what's trending at the moment. You'll see that in the list of popular hashtags on the left of the screen. If there is a hashtag that can be related to your product - give it a go! Be creative and the followers will come, as jumping on a hashtag will make your Tweet visible for people that are not your followers. However, stay away from any tragic topics, and make sure you know what the hashtag stands for before you join in. Choose a giveaway prize relevant to your business or website. Giving out an iPhone seems like a good idea because people will definitely enter - who wouldn't want a free iPhone? But the problem is that then they'll probably never look on your brand page again, because they weren't interested in your product in the first place. Set up a competition page with clear instructions of how people can enter, what geographical areas are covered, what is the deadline, and so on. Create a competition widget with, for example, Rafflecopter. Create custom sharing images for Facebook, Twitter, Pinterest, Google+, etc. Images are important in every part of SMM! Promote it. Unlike what you might think, competitions don't promote themselves and rarely go viral. Especially if you don't have many followers. So you will have to work hard here. Upload your competition to competition websites. Get in touch with influencers and bloggers (again, find the latter with the social media monitoring tool), and ask them to promote your product in return for backlinks. Consider running some advertising through Facebook Ads or Twitter Ads. Announce the winner across all social channels, send the winner an email, post about them on your website. You've probably realised by now that growing a social media following is a creative and multifarious process. However, I guarantee you'll see the results if you stick to the tips above. Good luck!